The Highclare School Governors’ Prize, is an annually-awarded means-tested bursary to cover up to 100% of school fees for a boy or girl upon entering the Senior School in Year 7. Means tested to widen accessibility as much as possible, it will be awarded to a boy or girl with outstanding academic potential following an assessment day. Scholarships are generally awarded to pupils when they enter the Senior School at U3 (Year 7). There are also opportunities given to pupils entering at 16+ for Sixth Form. 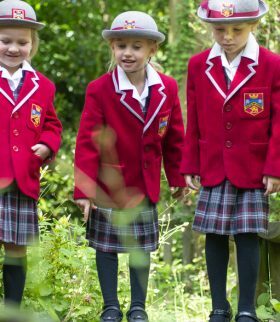 Academic scholarships are awarded to pupils who perform particularly well in the 11+ Entrance Assessment held in November each year, and who demonstrate a considerable degree of all round commitment to the School. The formal assessment is followed by a short interview with Head of Senior School. 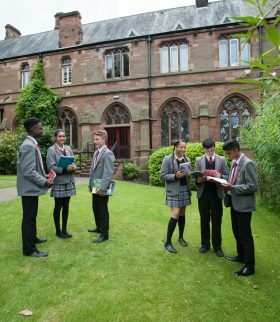 Pupils applying for places in Year 7 after the main assessment in November will not be considered for scholarships. Additional Scholarships will also be awarded to those pupils showing a particular talent in either Music, Sport or Art. Those applying for consideration in one of the specialist areas will also be expected to attend a short audition test. All Scholarships offered will be part fees and will be awarded at the discretion of the Headmaster. The Scholarship will be awarded for the duration of a pupil’s education up to the end of GCSE and will be reviewed annually. Those awarded a specialist scholarship will be expected to play a full part in the life of that department within the school. A competence to Examination Grade 3 is desirable, although all examination results will be considered. An audition on at least one instrument will be required and will take place in school after the academic assessment. At the audition, candidates must bring with them one suitable performance piece and will be expected to do sight reading and aural tests. Any orchestral instrument, keyboard or voice may be offered. Formal Test – Candidates will be asked to complete a short examination of around 45-60 minutes in length, which centres on their ability to respond to visual examples of an artist’s work. As part of this they will be required to produce a 20 minute pencil drawing from a primary or secondary source and a written response to a selection of imagery. All materials and visuals are provided for this test. Submission of Work – Candidates who apply for the Art Scholarship should also show evidence of a strong personal interest in the visual arts. They are required to bring a selection of between 5-10 pieces of their work on the day of the test. This could include work in any media or field of the arts, for example, photography, drawing, painting or textiles. This submission should be the candidate’s own work. (Group work is not acceptable, unless the pupil’s own contribution can be clearly identified). Work carried out at their current school or in the pupil’s own time can be included. This submission will be returned to the pupil at the end of the formal test. Candidates will be asked to take part in a short practical session in the Gymnasium under the guidance of the Head of P.E. Assessment will be made relating to agility, hand to eye co-ordination and general fitness. Consideration will also be given to specialist skills. Candidates taking part will need to come suitably dressed. Under the new scholarship guidelines for Highclare’s Sixth Form entry, any potential Highclare Sixth Former registering for September 2019 admission can earn the right to be called a scholar, with up to 50% off the Sixth Form annual fees. Academic Scholarships: Any potential sixth former can earn the right to be called a scholar and academic scholarships are awarded solely on the basis of results achieved at GCSE. Please contact admissions on 0121 386 8218 for further information. Service to the School (awarded to existing pupils only) – awarded to pupils who demonstrate a superb commitment to all non-academic aspects of school life. be able to demonstrate excellence in playing any orchestral instrument, keyboard or voice. be working at Examination Grade 7 or above, although all examination results will be considered. be prepared to audition on at least one instrument, with a performance piece which demonstrates their instrumental skill level, and will be expected to do sight reading and aural tests. Any orchestral instrument, keyboard or voice may be offered. be prepared to be committed and passionate about developing their musical skill with the school music ensembles. to demonstrate excellent talent including a critical analysis of art. to be achieving a predicted A or A* in the subject at GCSE, and to show their skill by presentation of a recent sketch book. to be passionate about the subject. to have a knowledge and understanding of contemporary art and artists and be a regular visitor to recognised galleries. Please ask the admissions office (0121 386 8218) for further details. 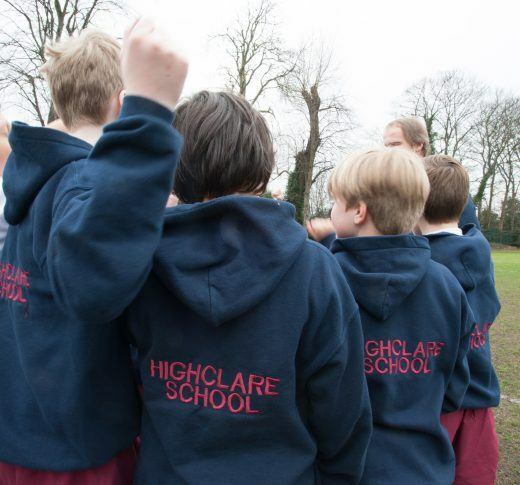 Highclare School seeks to support pupils to attend the Senior School. The Governors are pleased to be able to offer a limited number of Bursaries to families on low incomes who can provide evidence of a limited ability to pay full fees. Bursaries are allocated on a scale according to household income and will, with the exception of the Highclare School Governors’ Prize, be offered to cover a maximum of 30% of fees.